Barcelona’s new digital strategy backs improved communication channels and the unification of apps and tools to enhance user experience. As part of this vision, the Mobile World Congress was the scene today for the presentation of the first progressive web app to promote points of interest in the city. The new app is already available and is an innovative technology product as it gives the user the advantages of a mobile app and a website at the same time. 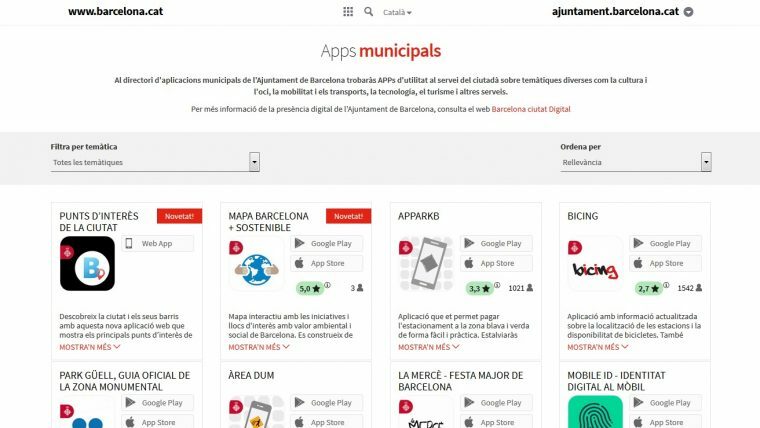 The launch of the new app forms part of the new digital communication strategy for City Council’s mobile channels, prioritising open standards, free software and the use of multi-platform technology. Leading international innovators in digital journalism, such as The Guardian, The Washington Post and Financial Times have all opted for these solutions in recent years. The new Points of Interest in the City app allows users to view full information on outstanding places in all of Barcelona’s districts. The new web app is accessible from the new municipal app directory and enables users to access the list of outstanding places in each district, check content by categories and see their favourite points of interest, even without and internet connection. Progressive web apps make use of the most advanced features of current browsers to provide the user with an experience which is practically indistinguishable from a native mobile app or a computer they use. As they are based on web technology, web apps can also be viewed using older desktop devices and browsers. Updates are immediate and not necessarily linked to the new versions of Apple and Android operating systems or the limitations of their app files. Webapp "Punts d'interès de ciutat"